Woo-hoo! No more MicroHoo, YaSoft etc. Not to be gross, but is this Tampax ad (the logo is partially visible in the corner) saying what I think it is saying? What country is it running in? Or is it a hoax? In case you don't know what I think it's saying, there's an old wives' tale—and maybe a true one—that sharks are more likely to attack women when they are having their periods because they can smell their blood. Are we to assume, then, that the so-called product benefit is that the product works so well that sharks won't attack? If you want to see a good, unadorned use of YouTube by a marketer, subscribe to the NikeFootball channel. You will find commercials there, such as the recent Guy Ritchie-directed film, but it's also a repository for short interviews with international soccer/football stars. The four-minute clip I've embedded above features William Gallas, a defender and captain of Arsenal (not that I know my international soccer stuff). It's a straightforward mix of sound bites and highlights, carrying the theme, "What William Knows." This is not the sort of content that is going to send people flocking to YouTube in the tens of millions, but it's a great, ongoing way to connect Nike Football with its formidable , passionate fan base. Did 'Ad Age' kill the name "Synarchy"? You may have seen yesterday that the new name for WPP Group's Dell-dedicated agency is Enfatico, instead of Synarchy. Now the question is, "Did the name change because of what happened after the name was leaked, or was it never all that definite anyway?" Fortunately for Ad Age, its initial story did leave an out, stating, "WPP could change direction if the name doesn't pass legal muster or translate well into the various international locales in which it operates." What it didn't say, of course, was that the company might also steer clear of the name if it was linked to something, like, say, Nazis, a connection that I believe was first made by the writers of that story, who pointed out that the term synarchy's Wikipedia entry, " ... quotes from a book on Vichy France that had an account of French industrialists who saw Nazi Germany as alternative to Communism." The blogosphere noticed, and now, the unit has a new name, Enfatico. Is the upfront like the market for oil? Stuart Elliott's summation this morning of this year's network upfront, includes this analogy from one analyst: that the market for the upfront is like the current state of the oil markets—in other words not all that sensical. “It’s totally counterintuitive,” Sanford C. Bernstein & Company media analyst Michael Nathanson told Elliott. “ ... the harder it is to find audiences, or barrels of oil, the fiercer the frenzy to pay more to acquire them.” Of course, the difference between network TV, which looks like it hit the same upfront numbers as last year, despite declining audiences, is that alternative sources of eyeballs, unlike alternative sources of energy, very much exist. It's just that marketers and media companies haven't figured out how to tap them yet, because, gee, it's only 14 years into the digital revolution. Brian Morrissey at Adweek has posted a story about yesterday's interview of Wenda Harris Millard by Federated Media chief John Battelle at the Conversational Marketing Conference. It proved unusual in that Martha Stewart Omnimedia media president Millard actually took swipes at her former employer, Yahoo, which seems to have sunk into a year-2001-like mire since her departure. But Millard's criticism doesn't come off as sour grapes, but as a well-reasoned analysis of a company that has lost its, well, sites, placing technology above all else. "Technology is very important, but where many companies go wrong is when they think technology is the answer or primary solution to proving a business solution to a marketing problem," she said. "The business of advertising is still a business of persuasion. Machines can't make art." 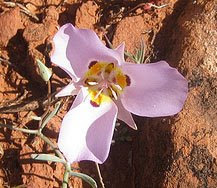 (Of course, Yahoo has said that it can do great brand advertising and focus on technology at the same time.) UPDATE: Martha Stewart Omnimedia just announced that Millard and the president of merchandising, Robin Marino, are being promoted to replace Susan Lyne, who just said she is leaving as chief executive. 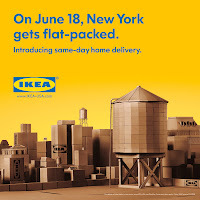 So I'm not the only one who immediately thought of the guy who made his furniture out of FedEx boxes when I heard about Deutsch's new campaign to promote the first New York City IKEA. You might recall that this guy posted photos of his FedEx furniture at this site several years ago. Thankfully, it's still up. Then FedEx, cluelessly, started to threaten legal action, and then, Stanford University's Law School Center for Internet and Society began to represent him. Anyway, so the Deutsch campaign features New York landmarks made out of IKEA boxes, only this time, it's not some guy building stuff out of boxes, but an artist and architect named John Hobbs, who I should probably know about. But I don't. The people at MasterCard sure are lucky that I remembered—days after the hype subsided—to look up the new Mr. Bill spot that they touted last week but didn't put up online until around now. Anyway, here's the commercial. The nostalgia will no doubt work, but somehow I remember the old Mr. Bill sketches featuring a lot more, well, dismemberment. So the bidding for Ian Schafer's Twitter feed is over and the winner is an entity called Teametacafe (aka metacafe.com), paying over $1000 for the one month privilege to take over his Twitter profile page and replace his mug with some its assets, like maybe its logo. Wishing, once again, that I'd thought of that, but it's never too late is it? Still didn't get the first mover advantage though. Oh, right, what's the reference to New York Met David Wright? Schafer says he's giving the money to the David Wright Foundation. —More thumbs-down on the Hummer. Here's to hoping they close down the dealership in my hometown. —If you think you can monetize YouTube, than you sell some ads. —The iPhone and the Apple Worldwide Developers Conference. —Going green not just for Birkenstock-wearing liberals. —Exploring the oxymoron that is the news weekly. —Really need a (non-alcoholic) drink? Go to McDonald's. —Toyota targets puts, of all things, a Camry in the middle of an espionage-filled online game. —Jonah Bloom thinks Yahoo has a plan. —Bob Garfield gets verklempt about Element 79's last work for Gatorade. —How Dell learned to listen. —Tough times for agency outposts in L.A.
—Milk discovers this thing called the Internet. —Profile of See Jane Run TV Marketing's Jane Rockwell. —More on the Wachovia review. —Will WPP bid again for TNS? —Barbara Lippert floats through the air over Wieden + Kennedy's "Jump" live stunt for Honda. Metaphorically speaking. —Licensing industry in the dumps. —Star Trek-themed coffins and urns? Oy. —Even in an economic downturn, organic sells. —Q&A on how Everlast plans to last forever. —Interview with Barry Herstein, PayPal's first CMO. —Traffic to super centers up, gas station convenience stores down. —"Alcoholic beverages are withstanding the economic downturn very well." Why is that not at all surprising? —Best Western hires a travel blogger. —Initiative decides to hold Alan Cohen to his contract. 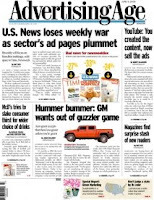 —Most depressing story of the day: Tribune's plan to "right-size" the company. —Rodale shuffles editors, wants to expand digital and international. —Diane Mermigas on online video's (lacking) business model. —Will the cable upfront be moderately up? —Meebo launches some new ad formats. —The network TV upfront may go north of last year's $9 billion. —Magazines dive into more low-class direct response ads. —Those reliable online metrics aren't actually that reliable. —Broadcast networks summer shows nothing to write upfront deals about. —9.5 million people watch first game of Celtics vs. Lakers. —The iPhone gets ready to steal some of Blackberry's thumbs. —Store windows might start watching you back. —Profile of Joe Ripp, the AOL whistleblower, who is not named in a financial fraud civil suit. —Will Steve Jobs use today's iPhone announcement to make other news? —"Kung Fu Panda" wins big at the box office. Subscription required. —After the earthquake, marketing in China becomes a delicate exercise. Subscription required. —AC/DC to sell its newest album exclusively at Wal-Mart. Subscription required. That's it for today folks. Stay inside. Drink lots of water.